Not Invited: Rabba Sara Hurwitz was busy elsewhere during the RCA conference. what exactly are the appropriate modalities of women’s leadership within the Jewish community and within the synagogue.” RCA leaders cited the resolution as the culmination of this effort. Other resolutions committed the community to combating child abuse, and to expanding the recently initiated program that applies ethical standards to the kosher food industry to include other professions and fields. 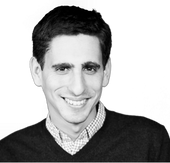 This story "Female Rabbis Banned, With Loophole" was written by Josh Nathan-Kazis.